When Tracy and I started working together in the summer, I didn't know much about robots, but my knowledge grew quickly and recently we bought our first robot for the family. Dash and Dot are two adorable robots created by Wonder Workshop and are perfect "first programmable robots" for families with young children. There is so much to explore with Dash and Dot, so we'll cover the basics in this overview post and I'm sure we'll write many more on our adventure with our robots. 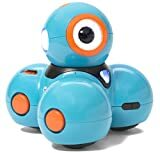 Naturally I was interested in getting a robot which will allow my kids to learn to code, have fun and be creative at the same time. Wonder Workshop caught my eye, as they have a similar vision, to empower kids to question, think and create. I totally fell in love with Dash and Dot and we decided to get the "Wonder Pack" which includes two robots, and large selection of accessories to attach to the robots. Take the adorable Dot robot out of its box, charge it up with the supplied USB charger and hold it in your hands, and when it blinks at you and says "I love it when you hold me", tell me you don't love it too! The Wonder Pack is fantastic, but you don't have to own both robots to be able to do things with them. And at a price of $49.99, Dot makes a brilliant first robot for any child. I would say Dash is probably better for younger kids because there is so much you can do straight out of the box and the Go App for Dash is specifically designed for non-readers. Saying that my teen liked them too and quickly got the hang of programming them, whilst my younger two watched the robots interact and zoom around the kitchen floor. The robot boxes are great for storing the robots when they are not in use. It's a good practice to teach kids to look after their tech toys, especially with expensive robots and good storage is key. Each accessory came in its own box and clearly states which are compatible with each robot. The Wonder Pack would make an impressive Christmas package, which lots and lots of boxes to unwrap. Unlike some programmable robots, like the Meccanoid which we reviewed, Dash and Dot come ready to play out of the box. There is no building requirement. Simply charge for a bit using the Micro USB charger and switch them on. They immediately respond and start to interact. However it is very important to note the robots require a mobile or tablet to play and programme, and it is worth checking whether you have a compatible device for them. We're planning to test Dash and Dot out on some popular tablets and devices and will post again in more detail about that. Unfortunately, our iPad was just too old (the robots utilises Bluetooth Smart 4 / LE connectivity) but they worked with my Andriod mobile. The name basically describes the robot. Dot is a circular robot with a single eye made up of 12 LEDs which are all programmable. She has a number of other lights and sensors, including distance sensors, transmitters and detects robot receivers, which means Dot and Dash can interact. Once fully charged Make Wonder claim Dot will last up to 5 hours. We're usually in the habit of charging our robots directly after play, so they are ready for the next time we get them out. Dot is described as the brains. She comes with 3 preloaded games, Magic Dot Ball, Dot of Music (Sound of Music) and Light Sword, which are activated by pressing the orange buttons on her head. Of course you can then use the apps, Blockly and Wonder to create your own games and follow activities to learn coding with her. Dash with his "Cool Cap"
Dash, as the name suggests, moves. based on the circular design of Dot, he has wheels which allows for movement in all directions. Dash is bigger and heavier and my boys call him the big brother. They really have personalities. Dash has similar tech to Dot and they both also have speaker and microphones to allow you to record your own sounds. He can move his head in a wide range and looks very cute when he cranks his head up at you and blinks his LED eye! Dash works with all the apps and all the accessories fit on him. We had lots of fun with the Xylophone, making music with Dash. There are several apps for Dash and Dot all designed for specific learning and play style, and age ranges. The apps are available for iOS, Andriod and Kindle, but not all applications are necessarily optimised for your device. Check your device on Wonder Workshop's compatible device list. For all ages. The perfect app to just play with the robots, change LED colours, record your own sounds, drive Dash and get to know your new robot. For all ages. This app uses a graphical interface to teach kids the concepts of robotics and coding before they can read. It is very visual and tactile as your kid draws a route for Dash on the tablet and gives commands. For all ages. Turn Dash into a musical maestro by attaching the xylophone accessory. There are prerecorded nursery rhymes and songs to start and then you can create your own music. For ages 8+. (Recommended by Wonder Workshop) The Wonder app is a lab where you follow missions to help you learn to code and once you unlocked all the missions you can use your skills to create your own missions. The app also has a "free play" area which allows for similar play as the "Go App". For ages 8+. (Recommended by Wonder Workshop) Blockly is the coding app, where you drag block and connect them to make Dash and Dot do things. Learning to code with a physical robot is fantastic, as you get immediate feedback on what you just created. Blockly is very similar to Scratch, so if your child is familiar with the concepts, they'll easily get on with the Blockly App. There are also pre-programmed games and activities to help you learn and which you can then modify yourself. As I mentioned we purchased the Wonder Pack which included all the accessories plus we got the Launcher for free on a special offer. All the accessories packs are available to purchase separately so you can build up your collection over time. They are well made and fantastic colours. The accessories click in easily in their circular slots on the robot's heads. My 5 year old can easily clip them on and remove them. This pack comes with some fun items, like bunny ears and tail, a tow hook, and bulldozer bar. We also received a mobile mount for Dash. 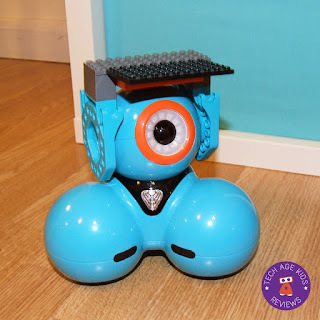 See Dash star in "The Robots came to Dinner"
There are 4 connectors in the pack and they clip onto the robots and then you can build whatever your imagination allows using LEGO, Technics, Mindstorm and Hero Factory bricks. The launcher, like the Xylophone, is a programmable accessory that works with Blockly app. 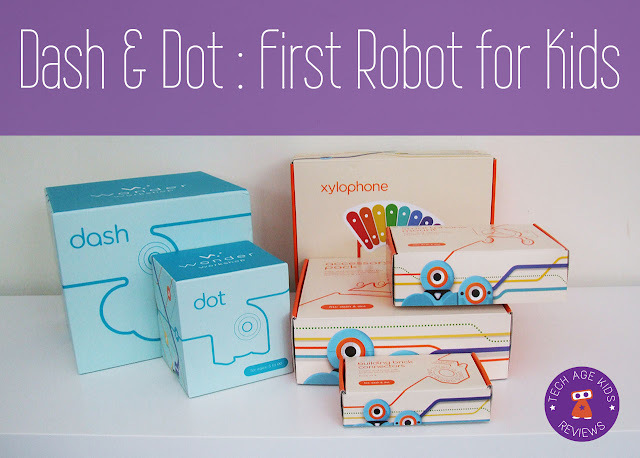 We would definitely recommend Dash and Dot as a starter first programmable robot for families with young children. They are adorable and loveable characters, robust enough for play and clever enough to grow with your child. 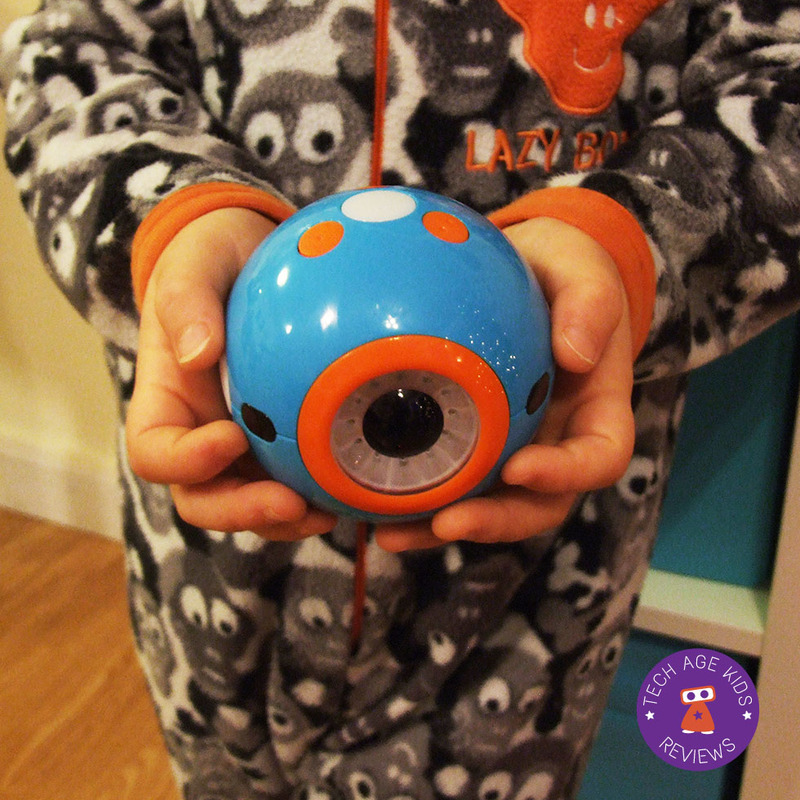 If you are still wondering what to get the kids for Christmas, the Make Wonder Robots will definitely have the WOW factor. 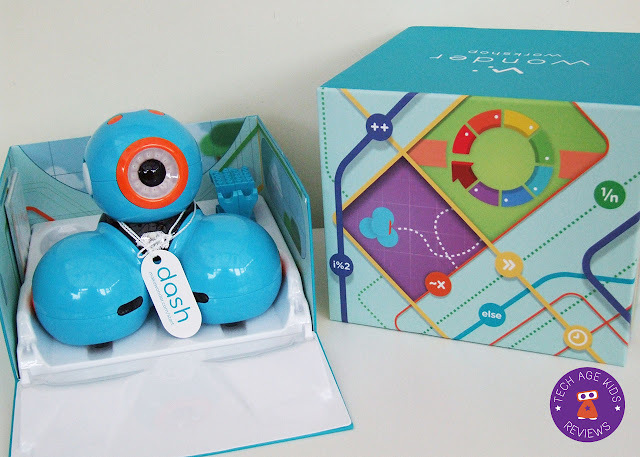 We still have much to explore with Dash and Dot and will continue to write about them. For this week, we are taking the Hour of Code challenge at home and will help Dash fulfil his mission to find Dot in a maze of cups.